You have a 3 gallon bucket and a 5 gallon bucket – neither have any measurement markers so all you know is that when either one of them is full, you have 3 and 5 gallons respectively. There is a bomb (of course, why wouldn’t there be). You can defuse the bomb if you put exactly 4 gallons worth of water weight on top of the bomb… any more or less will set it off. Luckily the bomb is located next to a big water fountain – so you have unlimited water. 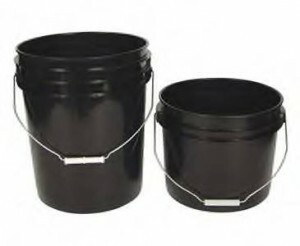 By moving water back and forth between the buckets, how can you get to 4 gallons, precisely?